Emojis is a powerful thing. It’s a universal language that every single person understands. 92% of the online population is using them, and if you look at the evolution of how people are using them, and how often, their popularity has skyrocketed over the years. Factoring in that so many people are using them, it makes sense for marketers to join in on the fun. Emojis enables you to speak the exact language your target audience speaks, and they will also help make your posts a lot more noticeable. In addition to that, emojis also add a personal touch and a sense of humor and modernity to your brand. In this article, I’ll help you get started with emojis on social media, and teach you how you can use them to empower your message for better marketing results. If you’re going to use emojis, it’s extremely important that you know what they mean. Too many marketers are spamming emojis that they simply don’t have any clue of what they mean, and others use every emoji they come across in the belief that their audience will see them as fun and engaging. The only problem is that unless your messaging makes sense, you will confuse your followers, and you’ll only end up pushing them away from you. The same principle goes for when you create captions for your social media posts. You don’t want to go about writing complicated and incomprehensible sentences that no-one understands, do you? If you would, it would basically mean that you are wasting your efforts on creating the message, because no one will understand it anyway. All emojis have a purpose and a meaning, and it’s important that you know that meaning very thoroughly. 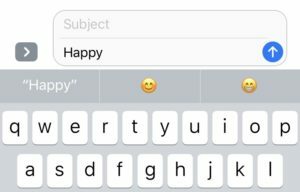 When you activate predictive writing on your iPhone and write a word that is relevant to an emoji, the predictive writing will show an emoji as one of the examples. If you want to find the emoji you plan to use when you write something completely different for the suggestive program, you should probably stay away from using it, because otherwise, there is a risk that your audience will misinterpret it. In worst case scenario, your audience might misinterpret your use of emojis in a way that can cause a social media storm against your brand. Every now and then, I see brands who go overboard with emojis and use a ton of them at once on social media. When using emojis, this isn’t a recipe for success. Yes, emojis are fun but not that fun. And if you go overboard with them, chances are your audience will get annoyed, and wonder what the heck you mean. And yes, emojis hold an incredible power, but you won’t generate better results by more of them. With emojis, it’s about finding that perfect balance, and more times than not, it’s better to use too few than too many. If you go overboard with your use of emojis, chances are, your audience will get annoyed, and wonder what the heck you mean. Emojis should complement your message and help empower the message you’re trying to convey; not steal the spotlight by drawing too much attention. Of course, there is no exact number of emojis that you should use because obviously, it’s different for every scenario. Some posts will do fine with just 1 emoji while other might need a few more to help boost the message that you’re trying to convey. Not like Chevrolet that created a completely incomprehensible social media post. It also depends on your brand, and that brings us to the next point. As a general rule, you should never use more than 4 emojis at once. If you do, there’s a risk that you will come off like you are screaming for attention, leading to irritation among your audience. Some brands might never use a single emoji because they feel like it doesn’t align with their brand message and personality – and that’s completely fine. Just look at Progressive insurance. They aren’t using emojis because it’s not suitable for an industry as boring as insurance. BUT. They’re doing just fine without them. Here, it’s extremely important that you know the personality you want to have as a brand, and know what type of customers you have. If you are targeting an audience that never uses emojis, chances are, you will be doing yourself a disservice by using them. Let’s say you are targeting people who are 80+ years old. Yes, some of them are using emojis, but I without having any exact numbers, I think it’s safe to say that the majority of them are not. This would mean that if you start to use emojis, you’ll cause a lot of confusion for the simple reason that most of the people who see them will have no idea what they are, what they mean, and what purpose they serve. You can be a brand that is targeting the younger generation but might for some reason have a boring personality anyway. You don’t want to start changing personality all of a sudden because let’s be real, how often do you change personality yourself? It might happen for some people to change personalities overnight, but it doesn’t happen often. And if it happens, the same things as when a brand changes personality follows. 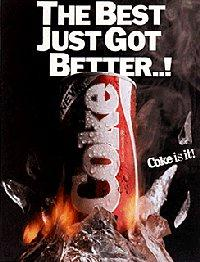 Just look at Coca-Cola’s huge fail at a rebrand and making their brand look more “edgy”. People will get confused and wonder “who are you, really?”. Some might lose trust in you, and some can even feel betrayed. One thing is for sure though, rapidly changing personality as a brand will harm your credibility and how trustworthy you are. To tie everything we discussed back to emojis, it’s important that you see the bigger picture. While emojis might only be a small part of your message on social media, it can leave a huge mark and make an enormous impact. Only use emojis if your personality allows it. And if you are unsure, take a thorough look at your strategy of how you will display your company. 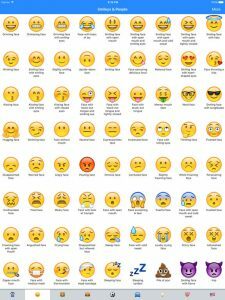 If you can draw the conclusion that emojis are in line with your personality, then go for it! Emojis are extremely powerful and effective in social media marketing. If not, you might want to use emojis very sparsely. Emojis are fun and trendy, and this is also the reason why it might be dangerous to use emojis when talking about serious subjects. In other words, emojis are the contrary to what serious situations are. That’s why emojis don’t mix very well with them. The outcome could be like when you try to mix oil and water- it just doesn’t work. Of course, emojis come in a lot of different variants, and therefore, emojis can also be implemented when talking about more serious subjects. But you need to be very careful when doing so. If you use emojis – and more importantly use the wrong emojis and in a wrong way, people might understand it like you are trying to shrink the problem/situation you are talking about, risking a storm against your brand on social media. This also emphasizes the importance of actually knowing what t the different emojis mean, as we just discussed. If you want to be on the safe side, you should completely stay away from the use of emojis when discussing serious situations, because it’s extremely to slip or get misunderstood. The meaning of emojis is to empower the message you’re trying to make. Because after all, a picture says more than a thousand words- and that’s exactly what an emoji is – even if in a very compact form. 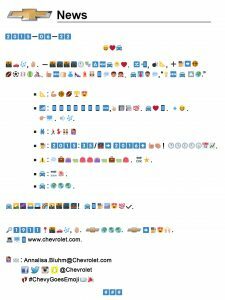 Think of how much more you can say with emojis if you are creating a tweet on Twitter bit is limited by the 140 character limit (that has now been changed to 280, September 26th, 2017). Emojis basically open up a completely new world. And even if you don’t have a limit to follow, emojis lets you keep your message short and snappy while still containing a ton of information. Not bad! But just because emojis have all of these great properties doesn’t mean you should use them even if you don’t have a reason to. Emojis should never feel forced. If you can’t think of the emoji you’re going to use for your post, it doesn’t need one. When starting our with emojis, it’s obvious that it will be difficult to know which situations demands and will gain a boost from the use of emojis and which will not. But when you get a hang of it, you’ll quite quickly be able to distinguish when an emoji is helpful and when it is harmful. The tricky part about emojis is that they might not mean what you think they mean. Even if you’ve done your research and learned the meaning of them, as discussed previously, emojis might have a second meaning that you have zero clues about. And this doesn’t exactly make the use of emojis less complicated. When you learn how to incorporate emojis that has a second meaning, that’s a sign that you are really mastering the art of emojis in marketing. Emojis can give something back to your social media followers that text has a hard time conveying. With text, it is extremely difficult to include emotions and playfulness the way emojis can do. Emojis are at every marketer’s disposal, but only a few of them use them. And an even smaller portion of the marketers are using them correctly. When looking to use emojis in your marketing and customer interaction, you need to ask yourself some questions, just like you do for any marketing effort of yours. What will they connect with emotionally? 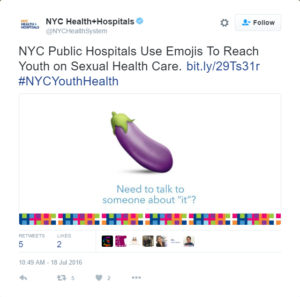 Will emojis resonate with them? Which emojis are they already using? While having your target audience in mind. When deciding emojis, you also want to take a time to reflect your own business’s values and personality. Which emojis align with my brand personality? Which emojis are aligned with the brand message I want to convey? Which emojis reflect my brand? Last but not least, you also want to ask yourself: “what is the meaning of the emojis I am going to use?” in order to avoid any misunderstandings.